Google held its annual I/O developer conference in San Francisco last week, and their dozens of announcements and keynotes made some major waves with new products, features, and technology – especially tools to make apps better. We’ve broken down the big announcements to let you know what’s new and cool in the world of Google, and what we’re excited about. First and foremost, Google debuted its new operating system, Android M. The new OS will simplify user experience, and make Android devices smarter and more powerful. With the “Now on Tap” feature (a play on the fact that users can tap to access Google Now instead of swiping), users can get relevant information with contextual searches; Now on Tap will understand the email you’re reading or the person you’re referring to without having to ask. Android M also changes how permissions work; users will now be asked to give an app permission to access a tool as it is needed, rather than on installation, meaning apps don’t have to ask permission based only on trust. Finally, Google hopes to streamline web interactions in apps with new support for Chrome-based browsing within apps. All these seemingly small developments help push Android forward to a new level of functionality, and we hope lots of users will be able to catch on. See a more detailed analysis of Android M’s features here. Taking the place of Google Wallet, Android Pay seeks to become your new choice for payment on the go. Similar to Apple Pay, Google’s new system can integrate with some phones fingerprint reader for easy and secure payment on the go. According to The Verge, Google says 7 out of 10 Android users are set up to use the new system to buy from one of the 700,000 merchants ready to accept payment on the platform. In one of the more bold moves of the conference, Google launched its new Photos app, offering unlimited cloud storage for all users to kick it off. This is a huge announcement for them, and the offer of free storage is a shot across the bow of Apple’s iCloud. Google Photos is more than just storage, and comes a whole new set of organization tools that aim to make Google Photos a household name. This app allows unlimited storage for up to 16MP for images, and full 1080p for video, and offers compression options as well. In addition, Google Photos automatically organizes photos with a grouping feature, so users don’t have to label or tag them, and can search for them later. Though many of the larger announcements targeted consumers, Google also unveiled some powerful new tools to tempt developers and marketers to Android. With their new Universal App Campaigns, advertisers can now reach users across Google Search, YouTube, AdMob, and Google Play, all with the same campaign. This has the potential to change advertising and deepen the reach of apps. Another analytics update allows developers and marketers to track ad performance across networks with metrics like LTV and retention rather than relying on third-party APIs for that same information. With these robust new tools, we expect to see a surge in development and advertising for Android apps in the near future. 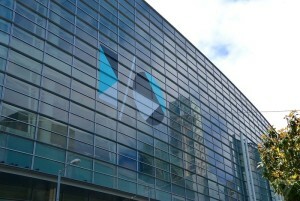 While these are only a few of the really awesome and innovative announcements from this year’s I/O, we think they will be the most significant and disruptive in the current mobile space. By offering interesting new features not only for users, but for developers and marketers as well, Google has made its OS competitive and innovative. With iOS and Android perennially competing for market share, these developments shed a positive light on the future of Android, and gives hope its users for a better and smarter OS. If you want all the details on the smaller announcements, check this summary article on The Verge.